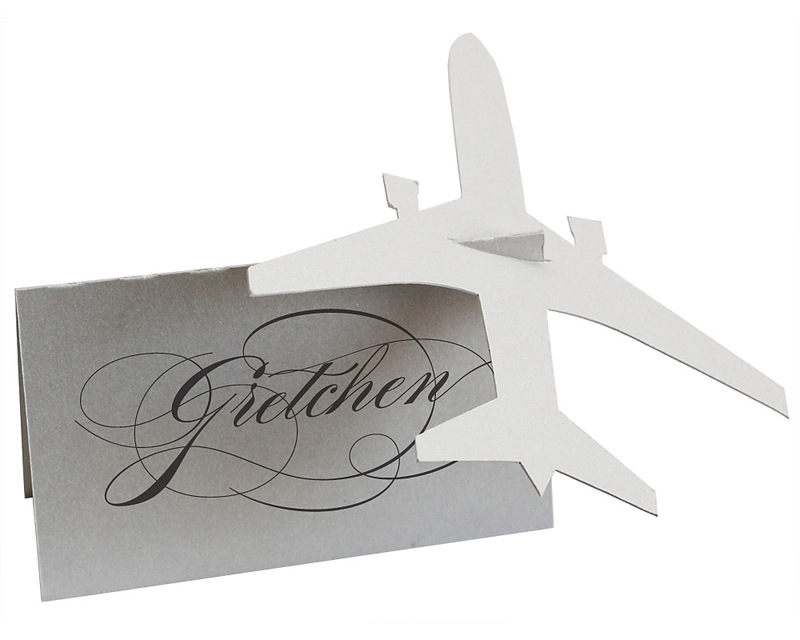 Our handcrafted place cards gracefully make any table more eye-catching. These unique paper cutout silhouettes guide guests to their seats with whimsy and charm. They enhance events from the largest wedding reception to the most intimate dinner party. Guests will enjoy having their own place card to take with them as a keepsake to remember your special occasion. Hand write your guests' names in the spaces on the place cards, open slightly, and slip the notch over edge of the tent card for a lovely dinner party accessory.